Chair yoga broadens the reach of yoga to those who are physically challenged, as well as to those with time and space constraints. In mat classes, students with flexibility issues benefit from chair warm-ups, and chairs can provide valuable feedback to beginners doing standing poses. In Teaching Chair Yoga you will learn adaptations of traditional asanas using a chair, including a standing and a seated sun salutation. You will also learn the joint-freeing series and other movements for increasing range of motion, as well as techniques for sharpening students’ focus. Julia will share mudras that she often uses and lead you through a fully satisfying seated savasana. When Julia Hough began taking yoga classes in the 1970s, she felt she had come home to her body. In 2000 she left a career in academic publishing to become a yoga therapist, and she has been teaching classes, workshops, and private sessions ever since. Julia trained in Phoenix Rising Yoga Therapy and Integrative Yoga Therapy, and she has studied with Judith Lasater, Amy Matthews, and Ellen Saltonstall. For four years she taught 200-hour yoga teacher training as an affiliate of Integrative Yoga Therapy. 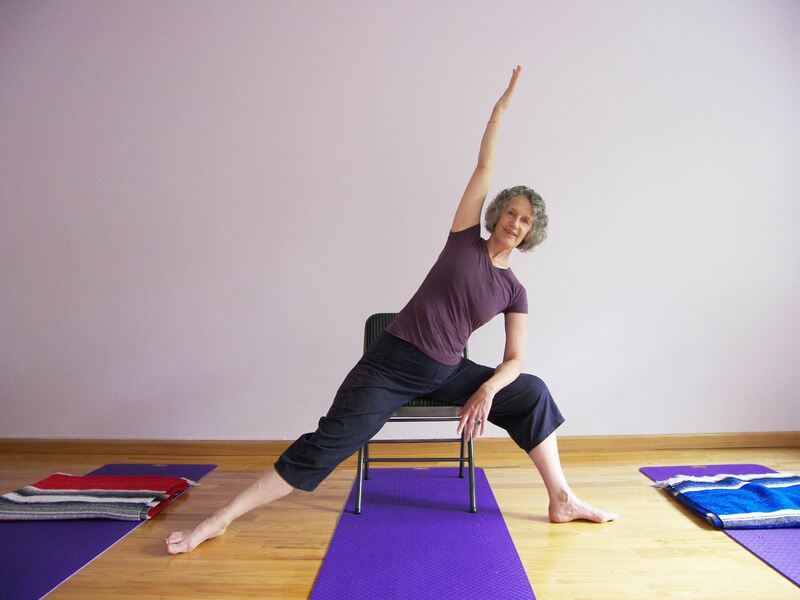 For the past six years she has been teaching chair yoga to yoga teachers. For more information go to juliahough.com.